I've had this fantasy map and an accompanying track map (that I have yet to upload), and looking at this it seems I put up a similar alignment in the Bronx as these guys did, except it would have been the full row from Harlem River (around Port Morris) connecting to the Second Avenue line, and the stops are the old NYB&W RR stops. The subway would gone on the north side of the Amtrak ROW, and my yard would also have been under Gun Hill depot. Freaky how similar they are, but in reality it is very conceivable and kinda obvious, given that that seems to be the only land that the MTA can really control. 1977 time - 49 min. 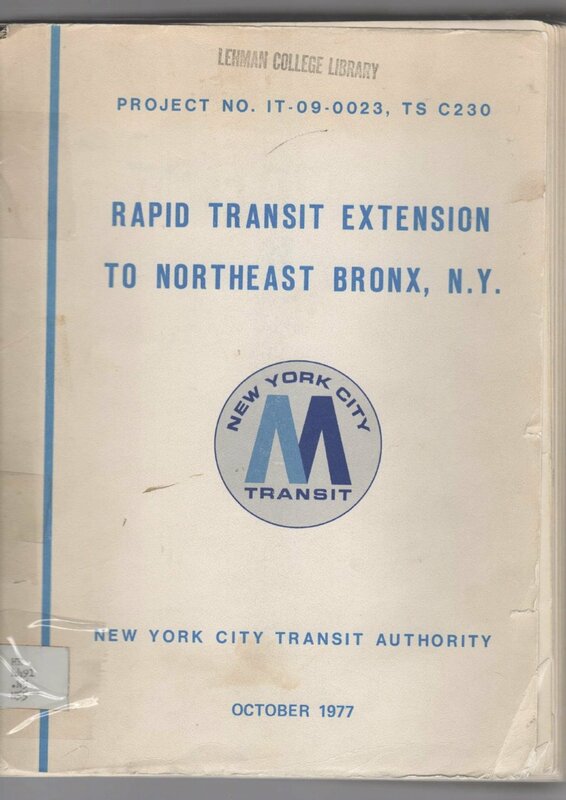 There are some on nycsubway.org and there is a great report in the Municipal Archives. Apparently part of the 2nd Ave and Houston mezzanine was to be used for buses. I am coming up with a list of pages to fix. If there are any that are hard to read or are visually distracting please tell me. Anyway, thanks for the effort (scanning almost 300 pages) & the drop as well. Rapid transit is anything but, in this city.